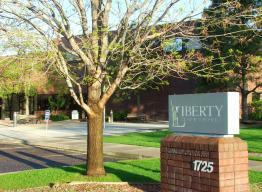 Liberty Common School is one of four Poudre School District authorized charter schools. Strong staff, student, parent, and community involvement focuses on robust academic enrichment to support students’ success in college and in life. Admission to the school is by lottery. Children of all Colorado residents are eligible to attend Liberty Common School. Elementary K-6 programs provide the foundation of the Core Knowledge Sequence, encompassing language arts, Singapore mathematics, science, history, geography, fine arts, grammar, Latin and physical education. Classic literature is read extensively. Junior High School (7th & 8th grade) programs continue through upper grades of the Core Knowledge Sequence. Students move to Liberty’s high-school campus in preparation for Liberty’s rigorous college-prep high school. Students develop classical knowledge, advanced math, science, and computer-science skills; plus classical character education. High School (9-12) programs prepare all graduates to thrive in college. Liberty Common High School (LCHS) is ranked the top-performing high school in Colorado by US News & World Report, Denver Westword, ColoradoSchoolGrades.com and other independent evaluators. The school offers a classical liberal-arts curriculum emphasizing the humanities while accentuating math, science and engineering. Multiple Advanced Placement courses are offered along with enriching electives. The LCHS engineering program was developed in partnership with the CSU College of Engineering and is taught by experienced engineers. Liberty’s teaching staff is made up of accomplished professional (non-union) instructors hired on the basis of their content mastery of subjects they teach. As part of Liberty Common’s accountability operational procedures, finances, academic performance and school objectives are transparent and open to all parents and the general public. Curriculum, financial documents and management details are posted on the school’s website www.libertycommon.org and available for inspection. Extracurricular, athletic activities and social opportunity at Liberty match the high academic expectations of its students with accomplished, professionally coached teams in soccer, volleyball, baseball, track & field and basketball, and many other academic competitions.